The first edition of Connecting the Dots – a series of Momice events – took place on March 21. During this event, Momice handed event professionals the tools to get more grip on events, set up a proper event team, and successfully deal with event-related challenges. In this blog, we share insights that were shared at Connecting the Dots. Rutger Bremer, co-founder of Momice, wants to ensure that events improve in quality. He believes the importance of events is being underestimated. According to Momice, events can make a huge contribution to the strategic goals of an organisation. In a series of five events, Connecting the Dots, we will dive into how events can make this contribution. 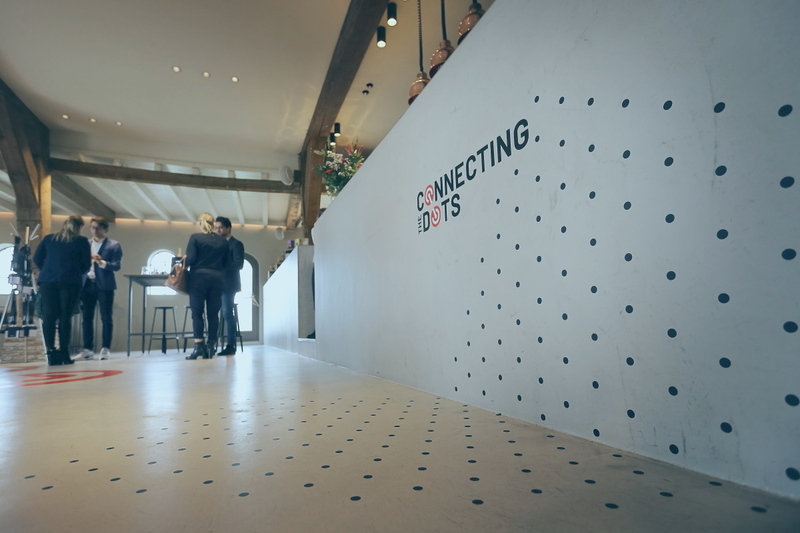 At Connecting the Dots, Momice conducted a research among more than 50 event professionals, using the Sendsteps tool. This research shows that about half of the event professionals believe they distinguish themselves on an operational level. A small minority believes to be strategically distinctive, and a third of them excels on a creative level. Too many event professionals seem to be involved in operational work only, not able or allowed to play a role on a creative or strategic level. That is a pity, since event professionals can make the difference. The link between operation, strategy and creativity is very effective when it comes to improving the quality of events. In short: event professionals should take more ownership over their events. Before the first edition of Connecting the Dots, attendees answered a couple of questions about their personality. It may sound like it, but it is by no means touchy-feely. Thanks to this Driver test, it became clear that many event professionals have a perfectionist personality: structured, eye for detail and running a big risk of biting off more than they can chew. In addition, there were many event professionals with the drive to please others. These professionals are mainly concerned with the well-being of others. A team of pleasers and perfectionists reinforce each other in both a positive and a negative sense. That is, besides the recipe for perfectly executed events, this combination can also result in stress, overworked colleagues or even burnouts. The fact that many event professionals show similar qualities, could be a challenge for event teams. When a team consists of too many perfectionists, the ideal mix of qualities is lacking. More diverse teams perform better, according to research. Event teams that take the Driver test can form a team based on the outcomes, and therefore have a better chance at success. More than 50% of the event professionals experience (a lot of) pressure on the job. This may be due to the operational role of event professionals, but it could just as well be related to the personal characteristics of a perfectionist. This is why: perfectionists often struggle to let go of control or indicate boundaries. Event professionals are dealing with many stakeholders, processes and clients – they are running a three-ring circus. They live under the impression that the whole event falls apart if they drop the ball. Therefore, letting go - and trusting others can be a huge challenge. Not all events are being evaluated, our sample shows. That is a missed opportunity. When event professionals see opportunities to room for improvement at an event, it does not always mean it is possible to discuss the possibilities. Still, too often the next project awaits, leaving event professionals rushing from one assignment to the next. Evaluation is the first thing they remove from the to-do list, so it remains unclear whether whether the (strategic) goals of the event have been achieved. Another common argument for skipping the evaluation is the fact that evaluating one-time events makes no sense, since there won’t be a next time. Learn everything about evaluating your events. Download the survey white paper! Evaluations are critical for the exchange of knowledge, ie. taking lessons from previous events and being able to improve the quality of future events. To get a better grip on events, it is necessary to see whether events meet the expectations of the (internal) client. An attendee survey the ideal tool to to measure this. Therefore, the survey feature is an important asset of Momice software. Obtaining attendee feedback becomes effortless and insightful. When discussing these results with the (internal) client, this indisputable data insights will make all the difference. Connecting the Dots was organised to help event professionals tackle a couple of their greatest challenges - and hand them tools to do so. At the event, knowledge was shared about the composition of event teams and about the way event professionals behave towards their (internal) client. Did Momice succeed in offering a platform to achieve this? When asked ‘Are you planning on coming to the next edition of Connecting the Dots?’ a startling 100% of the attendees answered YES. Mission accomplished.